PatentlyJewish Note: I have not visited the minyanim myself, but based on past visits in my pre-religious days and other accounts, it is not a tznious in the summer. The best times to go are off season – before Memorial Day in the Spring and after Labor Day in the Fall. During the summer months, the small residential Jewish community of Bradley Beach, NJ, swells as summer guests, including those who come for a day, a weekend, a week, a month, or the season, flock to this shore town whose Jewish ties are rich and historic. For example, author Philip Roth, whose books are redolent with his childhood memories of growing up in the Weequahic neighborhood of Newark, has warm words for Bradley Beach, where his family vacationed. Sharon Shulman, a member of one of Bradley Beach’s Orthodox shuls, Cong Agudath Achim, agrees. “Bradley Beach is not a place, but a state of mind,” she says. Realtor Debra Levine, who has long been connected to Cong Agudath Achim, says there is a reason the entire Monmouth County shore area—and particularly Bradley Beach—is so popular with the Jewish community. For one thing, she says, it is surprisingly close to most of the Jewish communities in Northern and Central NJ, just a little over an hour from the George Washington Bridge, and even closer from the Lincoln and Holland Tunnels. It is only 45 minutes from Highland Park and Edison. “Bradley Beach has maintained its reputation as a great Jersey shore resort town. Today, the year-round population is 4,000, but it soars to about 30,000 during the summer months, and no wonder. Visitors enjoy clean, life-guarded beaches, unique shopping, two shuls, an eruv, and plenty of kosher restaurants just a short hop away,” she says. While Jews may have come to the Jersey shore in the 19th century, it was not until the 1920s that Jewish communities established themselves. Congregation Agudath Achim was founded in the late 1920s. By then, Bradley Beach had become a very popular resort, attracting visitors from New York, Pennsylvania, and Newark. There were many stores, two swimming pools, hot water baths, and, of course, a beautiful beach. Sephardic Jews from Brooklyn discovered Bradley Beach well before they began buying land in Deal. Magen David Congregation opened for the summer in the early 1940s. It is not hard to understand the attraction Bradley Beach held for Jewish families. Before the end of World War II, most of the surrounding shore communities were closed to Jews. Only a few, such as Bradley Beach, were open, which is why people like Philip Roth’s family and hundreds of other middle-class Jews rented rooms and shared bungalows in Bradley Beach. It was not until 1973 that 100 Sephardic-Jewish families bought properties in Deal. By the mid-1990’s, the number of Sephardic-Jewish families in Deal had grown to the thousands. Many of the kosher amenities enjoyed by the Bradley Beach Jewish community are actually in Deal, which is less than ten minutes away. A few blocks away, virtually right on the beach, stands the Sephardic shul, Magen David Congregation (101 Fifth Ave, 732-988-1200), which operates only during the summer months. The spiritual leader is Rabbi Meyer Safdieh. Both shuls offer daily and Shabbat services during the summer. On Shabbat, Agudath Achim offers a Kiddush that is more like lunch and seudah shlishit that is more like dinner. Relations between the two congregations are excellent, and the shuls often combine for services during the summer. 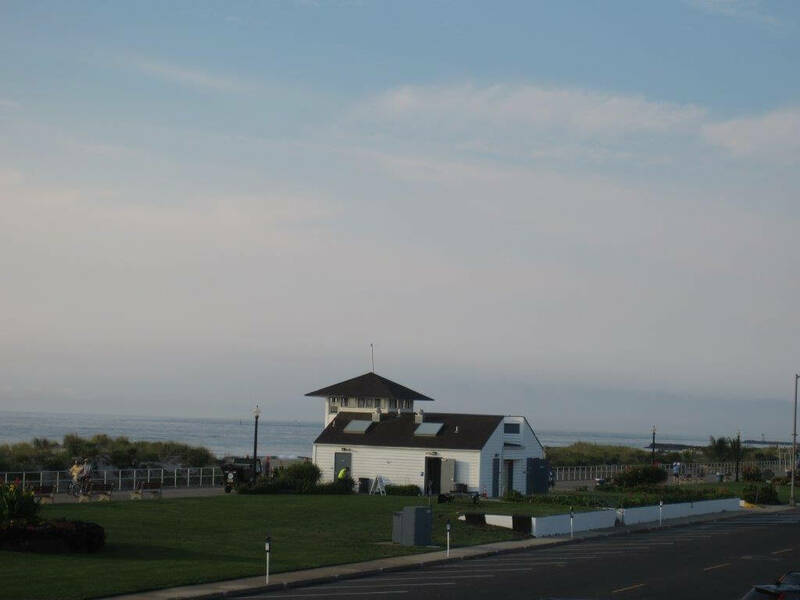 The town’s eruv encompasses virtually its entire 1.5 square miles, from Main Street to the boardwalk or promenade and from Bradley Beach’s border with the town of Avon to the south and Ocean Grove to the North. The supervising Orthodox kashruth organization is the Jersey Shore Orthodox Rabbinate (JSOR) which currently lists almost four dozen food outlets under its supervision, ranging from fast food and pizza to smart “date” restaurants and ice cream parlors. Shop Rite in Neptune (about a six-minute drive from Bradley Beach) offers a football-stadium sized “Kosher Experience” with a butcher shop, fish monger, bakery, all sorts of take-out, and packaged goods. There are tables towards the back of the supermarket where customers can eat. Kosher stores and restaurants under the JSOR are in Long Branch, Deal, Ocean, Allenhurst, Oakhurst, and Elberon. A full listing can be found at www.jsor.org. Ms. Shulman and Ms. Levine hope new visitors to Bradley Beach will enjoy exploring the town and, perhaps, consider spending more time there. Beach badges are required from June 16 through Labor Day. An adult season badge for those 16 and up is $70, a senior citizen (65 and up) costs $30, juniors (13-15) is $25, and children under 13 are free. A day badge is $8 per person. In addition to the beach, Bradley offers a delightful miniature golf course right on the sand and a spectacular beach-side playground for the children. The Asbury Park boardwalk is a longish stroll or a few minutes car-ride away, and about 20 minutes south, there are rides and an aquarium in Point Pleasant. There are conveniently located public restrooms and showers just off the beach, and the food concessions on the promenade generally serve kosher packaged food. The managers have been delighted to show patrons that the ice cream and cones they use are certified kosher. According to Ms. Levine, there are some wonderful properties for rent and sale. Cong Agudath Achim does what it can to help observant-Jewish visitors find convenient places to stay. On its website, the shul lists a roster of bed-and-breakfasts and inns within walking distance of the synagogue. One even serves a kosher breakfast. Two bed-and-breakfasts are within the eruv: The Bradley Beach Inn, 900 Ocean Ave (732-774-0414), a charming 19th-century Victorian home with rooms equipped with refrigerators and Jacuzzi tubs; and The Sand Castle Inn, which has earned rave reviews from satisfied visitors. Ocean Grove, the Jersey shore community just north of Bradley Beach, maintains its own list of bed-and-breakfasts at www.oceangrovenj.com. 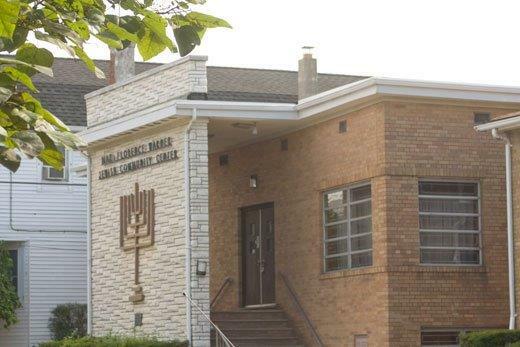 Virtually all places in Ocean Grove are an easy walk to Agudath Achim and Magen David Congregation. Ms. Shulman says two of them, The Ocean View (22 Ocean Pathway, 732-774-6552) and Majestic (19 Main Ave, 732-775-6100) are particularly elegant. The Lillagaard Bed and Breakfast (5 Abbott Ave in Ocean Grove, 732-988-1216) will, with proper notice, provide a kosher breakfast for guests. Just south of Bradley Beach is the tiny community of Avon. According to Ms. Shulman, one of the nicest bed-and-breakfasts there is the Cashelmara Inn (22 Lakeside Ave, 800-821-2976 or 732-776-8727). It is about a mile from Agudath Achim and even closer to Magen David Congregation. For helpful suggestions of places to stay as well as things to do in the area, Mrs. Shulman can be reached at 732-774-2495 or by email at sharon.shulman@gmail.com. Does anyone remember Cohens Hotel? 10-12 yeats of age…. & she went more than 1 Summer. She also went for the whole Passover holiday to the Metropolitan Hotel in Asbury Park…. but oh the memories! We stayed at the LaReine Arms, circa 1958. Anybody else?! Does anyone remember Schwartz’s Bungalows? Or, for that matter, Bloom’s Bungalows? My great grandmother ran a small kosher hotel in the 1930”s on McCabe Avenue called the Sal Rose Villa. Her name was Sarah Lentz (Sally in Yuddish) and she ran it with her sister Rose for 10 years. She did all the cooking and catered many weddings. I have a picture of it in more modern times. I think it is someone’s house now. Does anyone have more history on this .